Course: We will run around the lake counter-clockwise doing the Blue Jay Loop, out’n’back on Beaver Tale Trail, then hill repeats on Adie’s Hill. * Got Summer running plans? 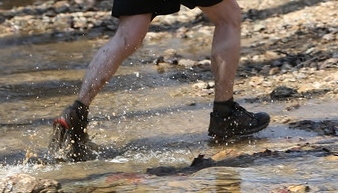 Well, we’ll be kicking off the Muddy Shoes Summer 25/50k Training Program on Saturday 20 May. Working on the training plan right now! Its low-key and cheap but awesome! Target race is the MD HEAT 25/50k on August 18th. Stay tuned for details coming your way.